Welcome to Palm Beach Enclosures! The Middle Tennessee source for custom Screen Rooms, Sunrooms, Conservatories, Solariums and other Outdoor Shading Options. We are the #1 Retractable Screen installer in Middle Tennessee offering products from Phantom, Clearview, Mirage, Rainier, Phifer and Twitchell. We are your local Four Seasons installer and right now we are offering up to 25% Off of select sunrooms, conservatories and solariums. Screen Rooms are very popular in Middle Tennessee and we have our own proprietary solar screens and wind/snow proof systems! 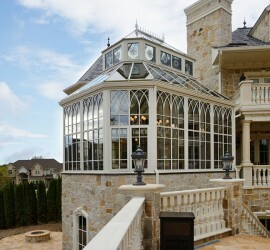 Palm Beach Enclosures is a Nashville, TN owned business that has been adding beautiful sunrooms, solariums, pool enclosures, conservatories, screen rooms, and retractable shades to homes and businesses across the Middle TN area since 1988. We work hard to make sure we offer all of the latest technologies as well as the most green products available. We provide customized jobs that most of our competitors will not attempt. So if you have been turned down on an idea that you have dreamed, we will find a way to make it happen. Highly customized projects are what we live for and we have done many in cities such as Chattanooga, Atlanta, Huntsville, Memphis, Bowling Green, Knoxville and of course our own back yard, Nashville, Tennessee. Each enclosure or outdoor shade is professionally installed and comes with a lifetime warranty on workmanship and the manufacturer’s limited lifetime warranty on the outdoor shade or enclosure product. 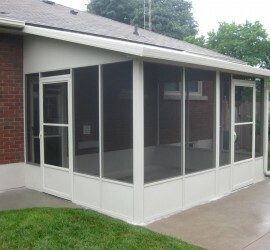 We are licensed and insured and we have installed thousands of screen rooms, sun rooms, conservatories, pool enclosures, along with motorized retractable screens. No one in the Middle Tennessee area has the extensive product line we carry. Give us a call today for a free consultation at (615) 726-1010 or schedule your appointment online. Palm Beach Enclosures is one of the top solar screen installers in the country and this puts us in position to work closely with the top solar mesh manufacturers. 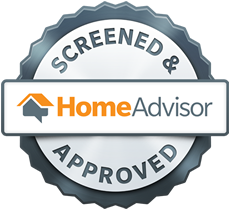 The result is the strongest, most energy efficient screen available. It is nearly indestructible. 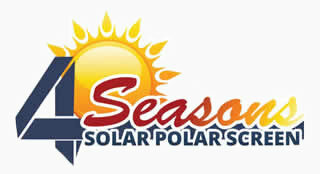 The Four Seasons Solar Polar Screen is manufactured for Palm Beach Enclosures to our exact specifications. No one else can even get this screen mesh. Designed for year-round living, our solarium, conservatory and sunroom designs can be customized to fit your lifestyle and will enhance the beauty and value of your home. Bringing gracious living to any home, transforming a patio, deck or porch into an inviting retreat nestled in the natural beauty of the outdoors, safe from nature's hassles of rain, bugs and sun. Our swimming pool enclosures will transform your pool or spa area and lifestyle. Delivering year round usage and increasing property value, while reducing maintenance and costs.